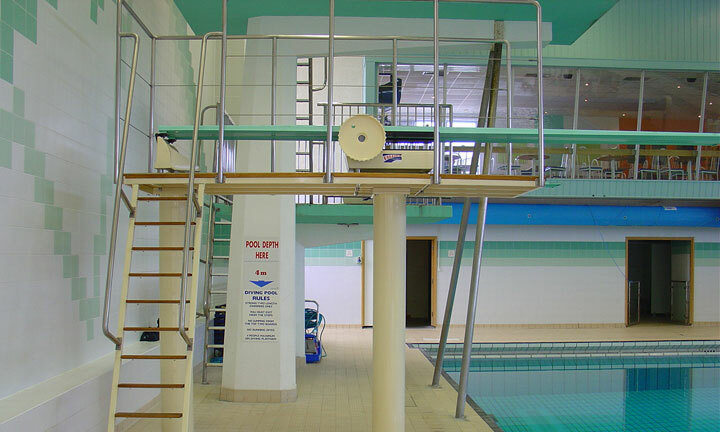 Divegym Equipment has a unique range of 1m and 3m springboard stands incorporating Maxiflex Competition springboards, Duraflex backstands and fulcrums and Divegym 316 stainless steel sub-frames. 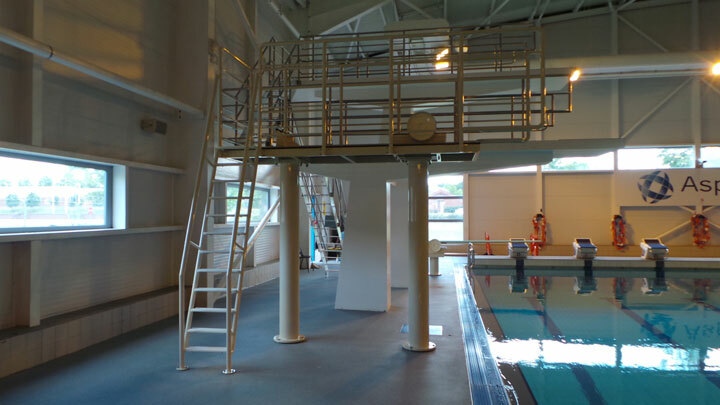 We also have 1m, 3m and 5m stands finished with specialist Treadmaster diving board matting and Tico underlay on the ends of the platforms. 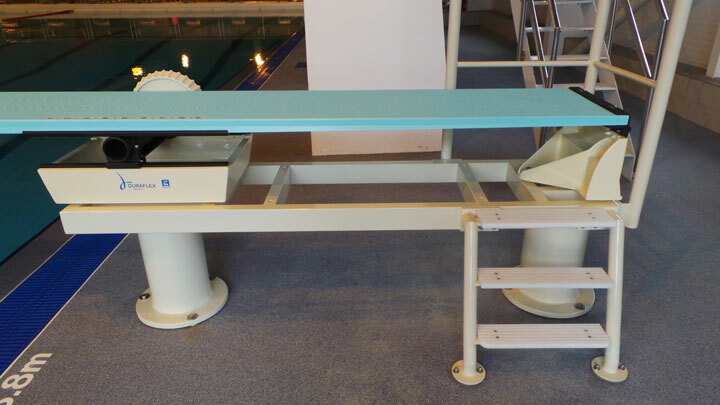 All our stands are painted with two part epoxy paint to match the Duraflex equipment. 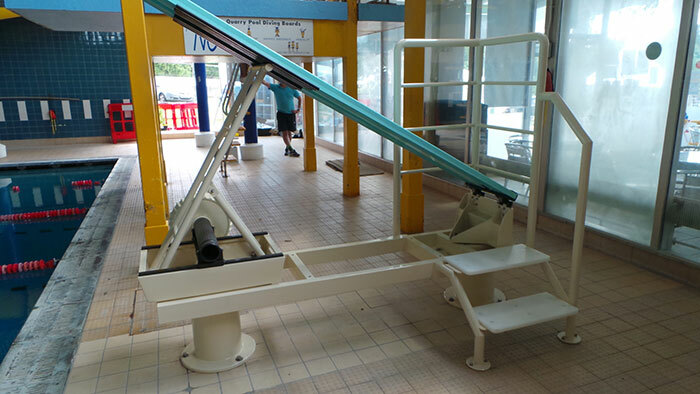 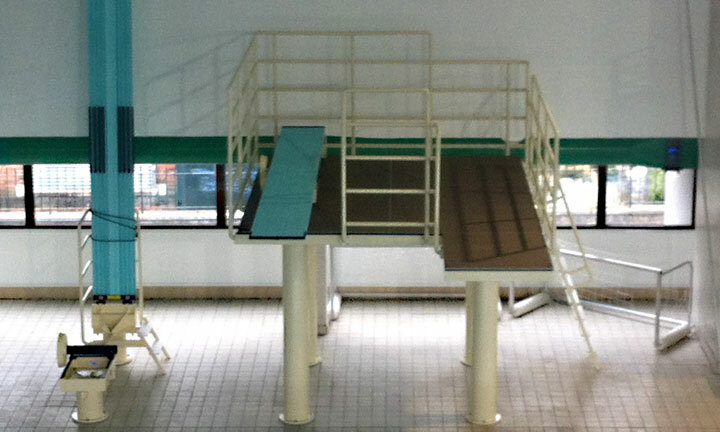 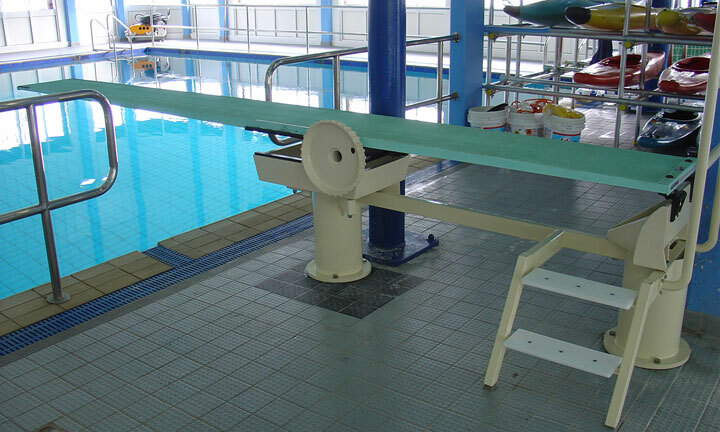 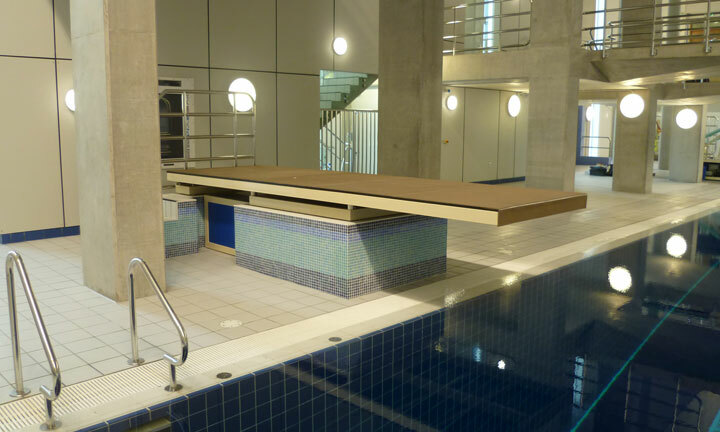 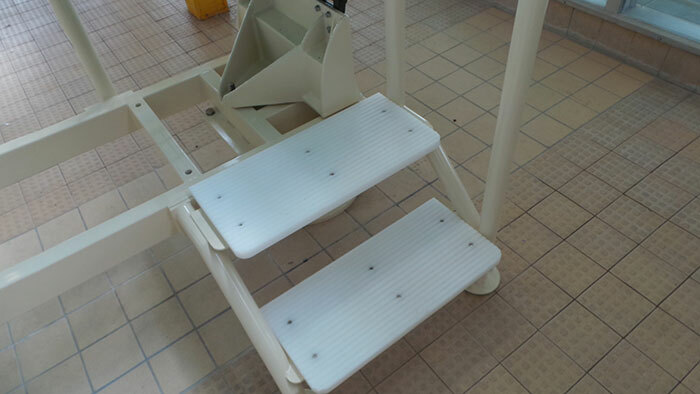 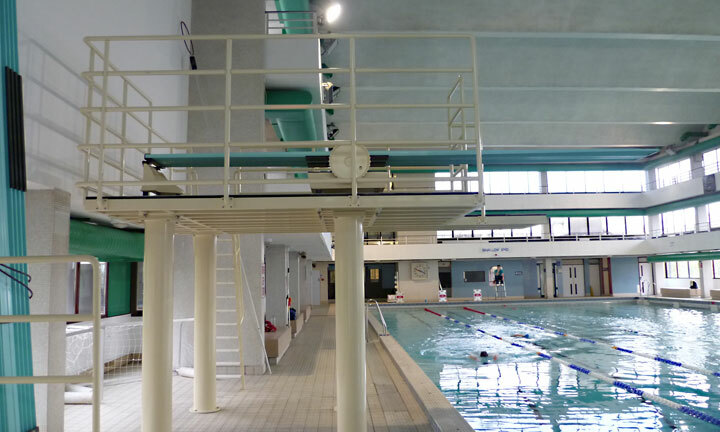 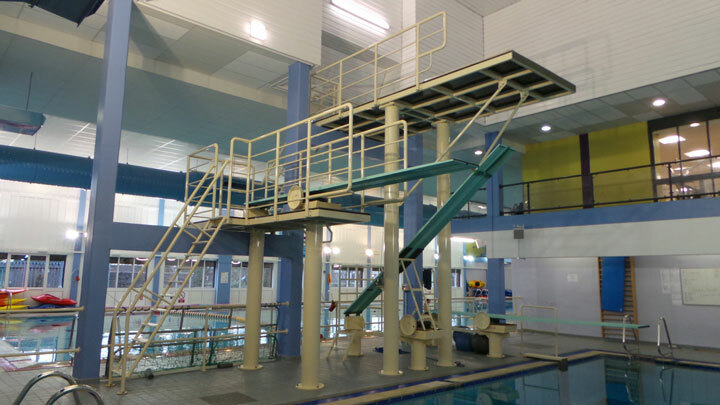 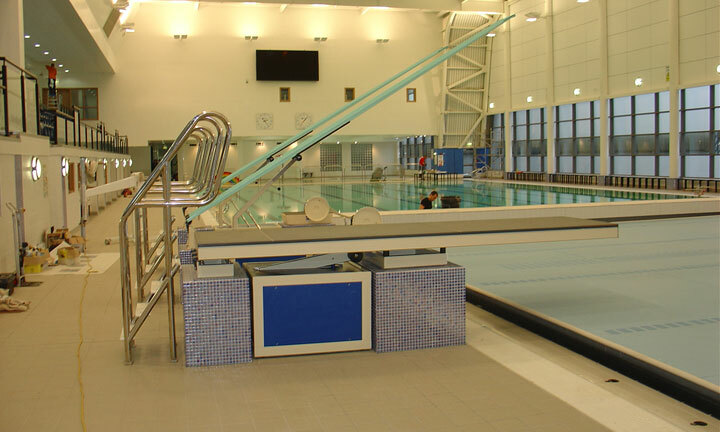 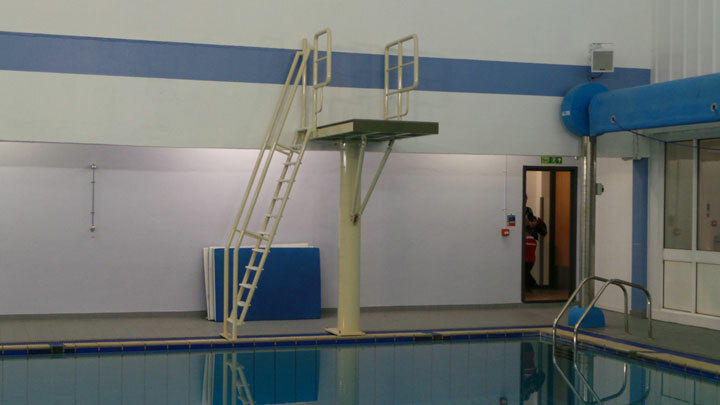 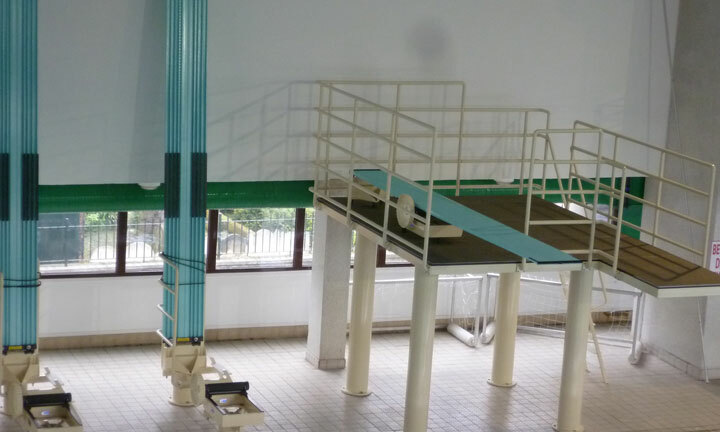 All Divegym diving board stands comply with British Standards and FINA requirements for diving platforms.